The Black Cat. It’s Not Just For Music Anymore. Who knew? They show free movies at the Black Cat! And it’s a really good time of year for it too. Wouldn’t you like to cozy up with some friends, a double feature, and a nice drink special? Me too. Keep in mind, the most important part about the Black Cat is that you just show up. Don’t expect to know exactly what will happen when, how, or why, but know that you’ll probably have a fantastic time. After some website confusion, Tuesday night found a crowd of twenty-somethings drinking $5 mimosas and reverently watching The Breakfast Club and Pretty in Pink. Laughs echoed in all the right places. Watching the movie as an adult and hearing Ally Sheedy sigh the line, When you grow up, your heart dies was a bit unsettling. Luckily, I’m really glad to not be that age anymore. Has my heart died then? The fact that I’m thinking about this shows that John Hughes really was a genius. I will share with you a new nugget of knowledge: the Carlton Dance from Fresh Prince? That’s really the Molly Ringwald. I swear. Take a gander at the clips. 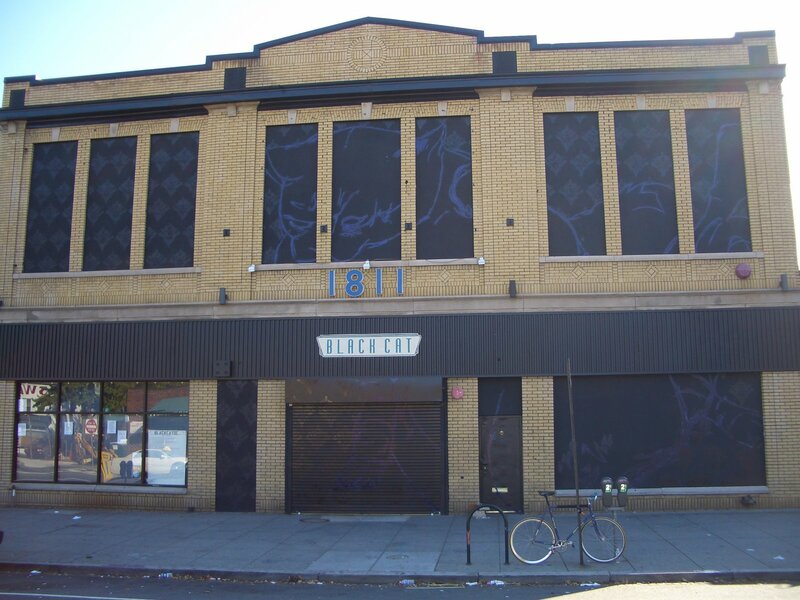 Wow, I went to the Black Cat for concerts when I was in high school. That’s awesome that they’re still up and running. Also, it looks like Anamanaguchi is playing there tonight! I’ve always wanted to see them live, it’s like nerdy video game chiptunes music. Wish I could make it out, but that’s a long drive.